A fast and easy telehealth platform to increase billable encounters and patient satisfaction. Unclog your clinic by conducting pre-op, MRI / lab reviews, post-op and post injection patient visits remotely. Convert informal phone-based visits to easily scheduled HIPAA-compliant video chat. Get reimbursed up to $100 per encounter. Open up your in-person clinic visits for more higher acuity patients who are surgical & procedural candidates. Generate more meaningful revenue for your practice and get patients in need seen more quickly. Get patients results quickly so they can avoid waiting in queue to get another office visit. Eliminate drive time and waiting room wait times. Improve patient satisfaction and long-term patient loyalty to your practice. Use the device of your preference, enjoy the flexibility of connecting with patients when and where you want. Enjoy secure text, voice, or video chat, upload files, and use custom prompts for rich, efficient visits. Access past visit history with patients. Share with colleagues. Coordinate on care. 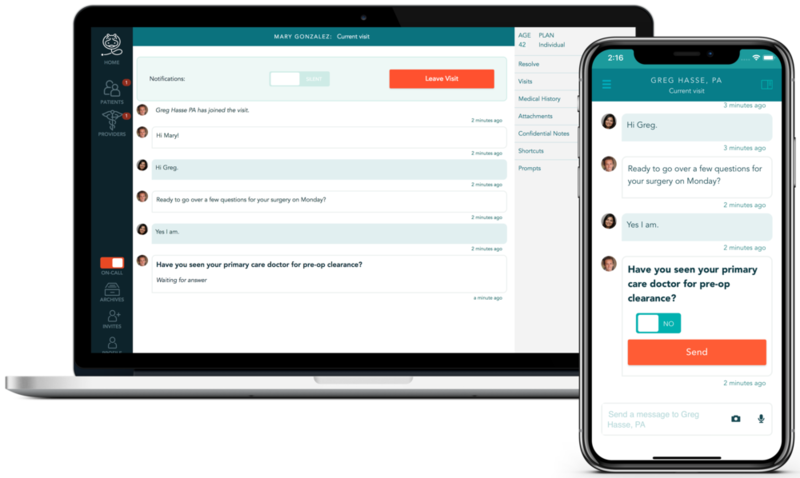 "With the HippoHealth platform, I have been able to triage, schedule and treat my patients in a more efficient manner. Besides the improved efficiency both in-office and financially, my patients are experiencing the benefits as well thru decreased travel times, reduced office wait times, quicker access to available appointments, and faster times to treatment. The product was seamlessly integrated into our practice and our patients have loved its use thus far. Telemedicine isn’t just for Urgent Care and Family Practice anymore. The platform has played a vital role in our Orthopedic practice and should be a crucial tool in every Physician and Mid-level provider’s hands."